Here is the book we have all been waiting for. Tony Boyer, by far the greatest shooter in the history of short-range benchrest competition, has finally released his new 323-page book. It’s a beautiful product, full of color photos from cover to cover. Every serious benchrest shooter should read Tony’s book. He has dominated registered benchrest in a fashion that will never be duplicated. 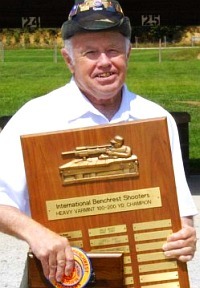 Tony Boyer has 142 U.S. Benchrest Hall of Fame points. That total is unprecedented. The next closest shooter, Allie Euber, has 47 Hall of Fame points. The full-color book is 323 pages long, and there are color photos or color illustrations on nearly every page. The hard-cover first edition costs $42.50, while the soft cover version is $34.50. These are available from Bruno Shooters Supply, 1-800-455-0350. 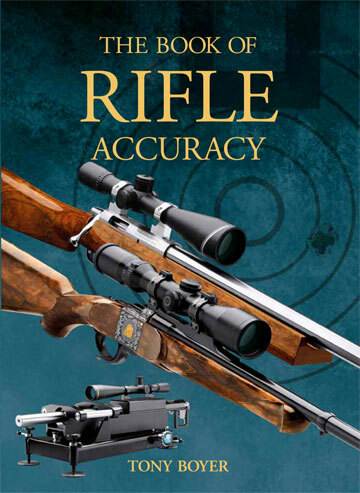 You can also buy directly from Tony Boyer’s publisher, Turks Head in Washington state, by visiting www.RifleAccuracyBook.com. A total of 500 limited-edition, hardback versions of the Boyer book were printed. These 500 limited edition books are all signed by Tony Boyer. Cost is $64.50, and that includes a fitted external slipcase to protect the book’s cover. The Boyer-signed, limited edition books are offered exclusively through Turks Head. Call (206) 782-4164 (ext. 0) to order, or visit www.RifleAccuracyBook.com. If you want a limited, signed edition, you should act quickly.